As we gear up for Prayog 4, noted danseuse Anita Ratnam shares some tips for a good performance. 1. Your body will never be perfect. Accept it and work with it. Learn to illuminate your strong points – torso, limbs, extensions, twists – whatever you feel works for you and diminishes your weaknesses. 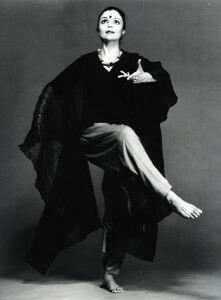 For example, Martha Graham had an extra extension on her left side and always used that. She lifted her left leg more than her right! 2. Your work/choreography/preparation will never be ready enough. Get on the stage and do your best. 3. Your mind will always be restless. That is the curse of a dancer. Use that very same restlessness to be channeled into an energy that can help you on stage. Stare into that black darkness and call upon all that previous experience to help your movements. 4 Always give your 200% at rehearsals. Don’t cheat during those sessions. On stage you normally can give only 75% of your rehearsal energy. That is the normal equation for dancers. So rehearsals are crucial for preparation. 5. Use some moments for inspiration and improvisation. This is something I always do since I bore easily. If you are in a group work, then it becomes more difficult but if you have an imaginative choreographer, you can work with him/her to create a small segment in which you can be set some boundaries within which you can improvise each time. This will keep you present in the work instead of your mind wandering while body executes the movements. 6. Create some ME time for yourself. Take time off to be in total silence. no music, no computer, no headphones, no books or no tweeting. Total silence, for about 10 minutes a day. Lie down or sit down somewhere and just be QUIET. Try it and see how difficult it is. 7. Feel blessed to be a dancer. It is the most powerful, the most vulnerable and the most dynamic and generous of acts. The giving of your body to strangers. The sharing through movement. Be proud and cherish yourself.